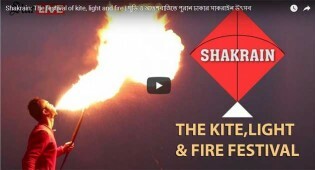 Have you ever seen Dhaka's sky flooded with kites, lights and fireworks? This year the celebration of Poush Sankranti (the end of Bengali month Poush) popularly known as Shakrain or Ghuri Utshob brings life to the most congested part of the Old Dhaka. Would you believe that some people still make a living out of diving in ponds and water bodies to recover jewellery or precious possessions lost by bathers?